Do you need a tonic to help improve your overall health? Then Ledum essential oil is what you should be taking. Also known as Marsh Tea and Labrador tea, it has been used for centuries to treat kidney problems, skin conditions, coughs, fever and other health problems. Modern research has found that this essential oil has got a host of health benefits. Are you interested to know the amazing benefits of Ledum essential oil? Keep reading! Ledum essential oil is a great supporter of liver health (1). It helps in detoxifying this vital organ so that it can eliminate various harmful toxins in a proper manner. When your liver is healthy, your body is free of toxins, and you naturally keep illnesses away and maintain health. You can use Ledum essential oil to gain relief from colds and congestive cough (2). It is also an effective remedy for conditions such as influenza, fever, laryngitis, bronchitis, etc. It is a cure-all remedy that works wonders in treating these problems. Ledum essential oil is also a supporter of the immune system. It can ensure the health of this system in your body. This in turn increases your body’s ability to fight off different ailments and diseases. 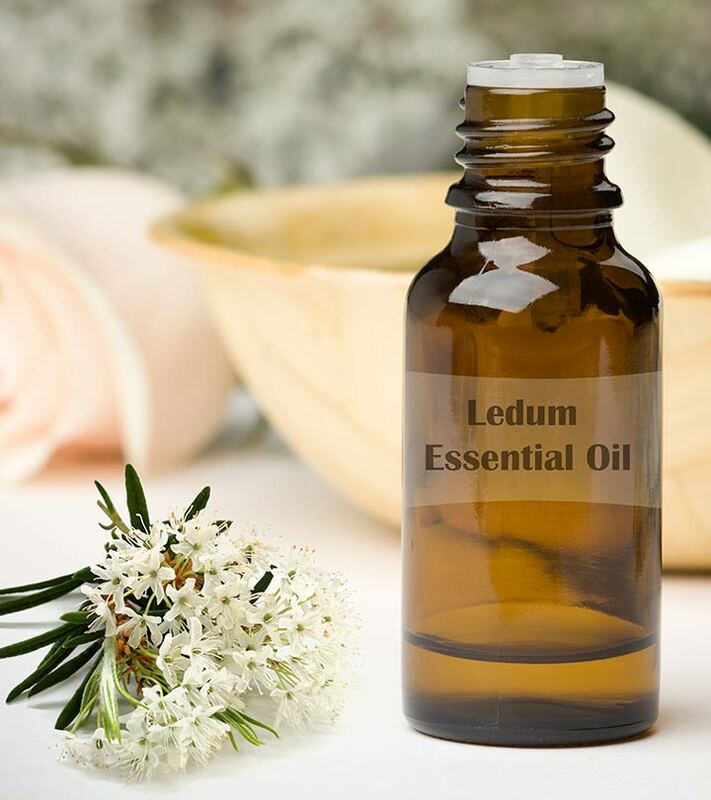 Ledum essential oil has anti-tumoral and anti-cancer properties. This makes it a powerful defense system against different types of cancer that may develop in your body. You can also use it to prevent tumors. As you already know, Ledum essential oil does wonders for your body by supporting the immune system. Apart from this, it also provides support to other systems in your body including the respiratory system. It also supports the urinary tract. Ledum essential oil has antibacterial properties. This makes it an effective natural remedy for a wide range of skin problems. Since it helps in detoxification, it gives you healthy, glowing skin as well. This wonderful essential oil has anti-inflammatory properties (3). This is why it is widely used as a natural remedy for the treatment of inflamed lymph nodes. With this essential oil, you can effectively treat all types of inflammation. Ledum oil is known for its effectiveness in fighting ADD, or Attention Deficit Disorder. Experts have recommended it to treat this disorder as it has shown to be beneficial. You do need to remember to consult your doctor before using it as a natural treatment, especially if medication has already been prescribed. One of the things that Ledum essential oil is renowned for is its ability to treat a wide range of disorders that are addiction-based. This is why it is highly recommended for the treatment of alcoholism. With Ledum essential oil, you can also treat other disorders. Its many beneficial properties make it an effective fighter of diseases and ailments such as edema, allergies, hepatitis, obesity, etc. It is also known to have a calming effect on the mind. 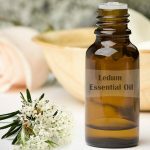 Now that you know all about Ledum essential oil benefits, what are you waiting for? By using this essential oil, you can treat and cure many illnesses and conditions. However, it is important to remember to consult a doctor before doing so, especially if you suffer from a disorder and have been prescribed medication.